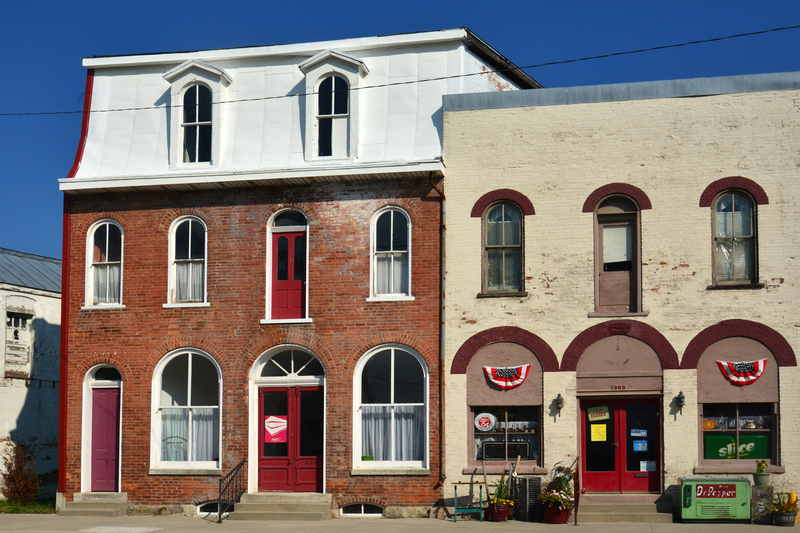 Our Servaas Award winners in 2015 spark revitalization in two eastern Indiana downtowns. Like Dorothy in The Wizard of Oz, James and Norma Bertsch believe there’s no place like home, and they want to make theirs better. After moving away from Cambridge City for Jim’s medical school education, the couple was living in Ohio in 1977 when they learned that both doctors in their hometown were retiring. They moved back to Cambridge City almost overnight. 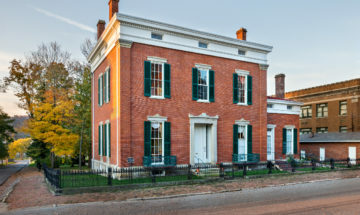 The couple began restoring historic landmarks soon after, starting with their 1850 home. In 1988, they turned an 1848 building into Dr. Bertsch’s medical office. “When the hardware store on the National Road was going out of business, we worried that the building could go the wrong way, so we bought and restored it,” Dr. Bertsch recalls. Then they bought and restored the old opera house. They operate it as a vast emporium, selling antiques and home and garden décor. “Their restoration of the block made a visible difference and set a standard that others have followed in fixing up historic buildings and revitalizing Cambridge City,” notes Randall Shepard, Indiana Landmarks’ Honorary Chairman and leader of our Servaas Memorial Award committee. He presented the Bertsches with the individual Servaas Memorial Award at our annual meeting in September 2015. 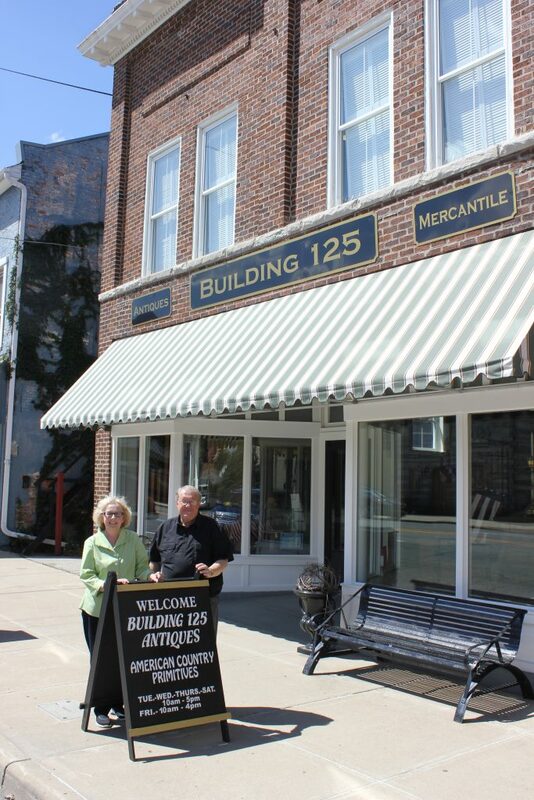 Servaas Memorial Award winners Jim and Norma Bertsch restored a historic block on the National Road in Cambridge City, setting a standard and sparking revitalization in their hometown. The couple also restored the historic Solomon Meredith House, and they’re active in Western Wayne Heritage, Cambridge City’s nonprofit preservation group. Ron Morris, a Ball State professor and former Servaas winner, nominated the Bertsches for the award. In the nonprofit category, the Servaas Memorial Award went to the Preservation Society of Union City IN-OH, a nonprofit group whose town straddles the state line. The organization shares the Bertsches’ motive: revitalizing the town and improving its quality of life. Instead of buying endangered buildings, the society leases a dilapidated structure with an option to buy it for the pre-restoration price. The members fix it up, using a combination of sweat equity and hired expertise. 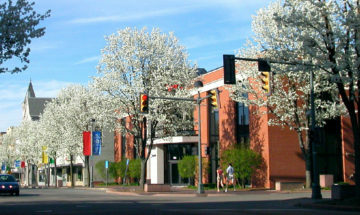 In 1987, the society rescued the Kirshbaum Building from demolition, restored it, and turned it into an antique mall. When the city announced it would demolish a historic building downtown, the society stepped in, fixing it up in phases and installing a museum, community room, and gallery. “In the end, the city bought the building back to use as city hall and donated use of the museum and community room to the Preservation Society. The group invested the money from the sale in a preservation fund at the Randolph County Community Foundation—a triple win,” Shepard says. The award selectors were impressed by the society’s advocacy on behalf of threatened landmarks and its active schedule of First Friday gatherings, annual tours, and education programs for school kids. “The Preservation Society of Union City, 135 members strong, makes an outsized impact on the quality of life in its community. 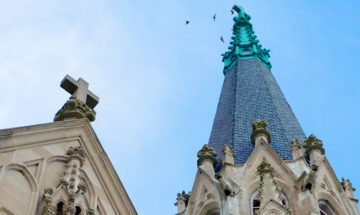 It’s creative, committed, and a consistent high achiever in preservation,” says Marsh Davis, Indiana Landmarks President. 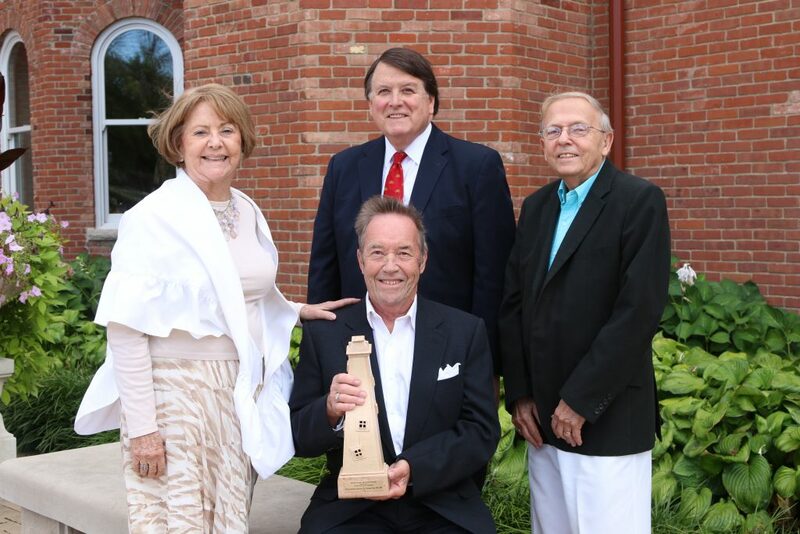 Indiana Landmarks Honorary Chairman Randall Shepard (standing center) presented the nonprofit Servaas Memorial Award to the Preservation Society of Union City IN-OH, represented by officers Ted Leahey (seated center), and Betsy and Allen Jefferis. Shepard began the award presentation with an appreciation of Jean Servaas, who died in July 2015 the day after her 92nd birthday. The Servaas awards are named for her daughter Sandi, a young member of Indiana Landmarks’ staff in 1975 when she was murdered while on a California vacation, a crime that remains unsolved. “Sandi’s vision and her creative, persuasive approach to preservation remains a part of our organizational culture,” he declared. Because preservation had ignited Sandi’s passion, Jean and her late husband John adopted Sandi’s devotion to Indiana Landmarks. The couple’s generous contributions assured the future of the award and the cash prizes that accompany it. “For 40 years, Jean closely read every Servaas nomination and admired the efforts they represented. She liked doers, and good storytellers, and people who achieved through persuasion and positive actions rather than argument or lawsuits—people like her daughter,” Shepard concluded.